Pain is most often your body’s final cry for help. While it is important to resolve the pain, the true health benefits come from maintaining regular spinal function. Your spine maintains its function through motion. That is why a chiropractic adjustment is necessary. An adjustment unlocks fixated joints. Symptoms, such as vertigo, migraines, allergies, digestive issues and many more, are all signs that there could be a contributing factor coming from your spine’s inability to move properly. With thorough assessments and customized treatment options, each patient will have an individualized recommendation of care. We target the root cause of the pain and aim to provide the optimum solution to your overall health care concerns… Aspire with us to make a lasting difference in your overall health! Dr. Zac Ditmarsen is dedicated to changing the way his community thinks and cares for their health. He created Aspiring Health Clinic of Chiropractic to provide Middle Tennessee with effective, safe and affordable care. He first developed an interest in chiropractic care when it was the only method that helped his mom find relief after a bad car accident. 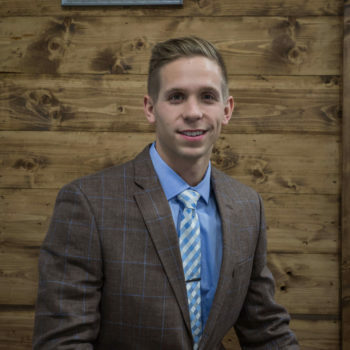 Combined with his fascination with the nervous system from 11th-grade anatomy class and first-hand experience with knee and shoulder pain from athletics, Dr. Ditmarsen found his path to a career in chiropractics. Dr. Ditmarsen attended St. Cloud State for pre-med and received his Doctor of Chiropractic at North Western Health Sciences University, both in his home state of Minnesota. He has been practicing for three years and is excited to open his own practice using the Gonstead technique, a system that resonates with him and his chiropractic philosophy. When he’s not caring for his patients, you may find Dr. Ditmarsen bow hunting, fishing, golfing or playing tennis. He also has an immense love for traveling, hiking, and a good book! The Gonstead System was created by Clarence S. Gonstead through extensive clinical research, fifty-five years of continuous practice and over four million chiropractic adjustments. This resulted in the most complete method of analyzing the spine to detect the presence of the vertebral subluxation complex. This system is regarded as the most complete and effective methods of biomechanical analysis available to doctors of chiropractic. With only three other Gonstead practicing clinics in Tennessee, Aspiring Health Clinic of Chiropractic is proud to bring this unique method to the community. Dr. Ditmarsen has mastered the art of this technique, which requires a significant amount of practice, skill, and dedication in order for his patients to receive top-notch care. Learn more about our process and what to expect from the chiropractic experience.